Home » Feature » Will There be a Jeep Grand Wagoneer Trackhawk? We’ve been hearing about the Jeep Grand Wagoneer for awhile now. 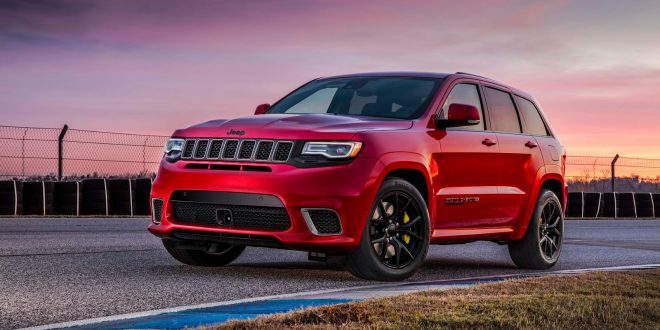 Nonetheless, FCA swears it will hit the market by 2022 and new, leaked documents suggest Jeep may deploy a 719 horsepower Trackhawk version. Road & Track has stumbled upon an internal document from transmission maker ZF that shows several future models. Among the list is the Jeep Grand Wagoneer, which is also curiously displaying a 6.2-liter V-8 as an engine option with a power output of 719 horsepower. The document goes so far as to confirm it as a Trackhawk model. Given the fact Jeep already has the Grand Cherokee Trackhawk with its 707 horsepower, it does not seem like a crazy stretch to assume Jeep would want a Trackhawk version of the Grand Wagoneer. However, it is worth noting the document shows this model as a 2017; clearly that wasn’t the case. The Grand Wagoneer–like many FCA products–has been delayed several times. What will remain to be seen is if the prospects of a Trackhawk version have changed during all of FCA’s product replans. Of course, FCA is declining to comment on the leaked document. That said, they recently confirmed Jeeps future product plans, which include a plug-in hybrid version of the Grand Wagoneer. They're asking about a possible Trackhawk, when they should really be asking if there will be a Grand Wagoneer. Delayed and put off this long, doesn't look good.